New Moto X release date confirmed: 2015's underground hit? Although the second-generation Moto X is only six months old, Motorola has been hard at work to bring us a new updated Moto X for this year, and we now know that we can expect it around August or September. That's thanks to comments made by Motorola's president, Rick Osterloh, who announced on Twitter that Motorola was going to "stay on a roughly annual cycle for all of our products, including Moto X." As the original Moto X was launched in August 2013, and the second generation hit the shelves in September 2014, it looks like it will be sometime around those months when we'll see the third generation Moto X.
Motorola and Qualcomm have previously confirmed that a new flagship from Motorola is coming and will be powered by the new Snapdragon 810 SoC. 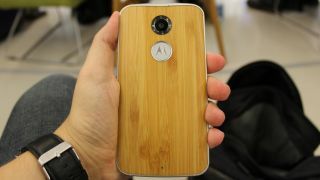 There's a good chance that this mysterious flagship is the new Moto X. We don't know much more about the upcoming Moto X, but considering how much we liked last year's version, it's fair to say that our expectations are high.